Temperance is among the 3 trumps from the 22 major arcana that materialize the virtues and remind Mankind of the principles that must be followed to be successful in life, with Strength, and Justice. This Arcanum of harmony can mend broken relationships. It is a symbol of gentleness, calm, serenity, and balance restored. However, this Arcanum still needs a lot of patience to restore harmony in a troubled relationship. Indeed, you usually need some time in order to solve some problems or improve a situation, and people tend to be too hasty, making it hard to find common ground on a difficult environment. As the name suggests, ite signals that balance has been found, some middle ground has restored harmony in a difficult situation. You need patience, flexibility and some serenity in order to improve a difficult situation. 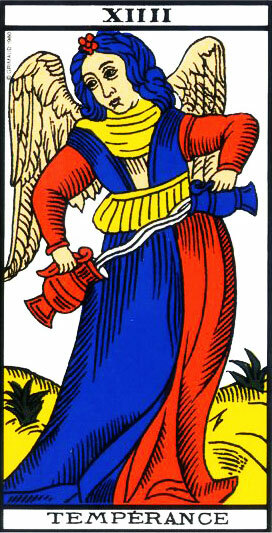 Temperance tarot card requires the ability to adapt in the face of change, and great communication skills. The two go hand in hand. Temperance can give you positive physical and mental energy to get on top of any situation and go along with the changes! It can forecast new private or professional relationships, new friendships, or the inception of new projects that will result in a better life. Temperance card leads to harmony and urges you not to make any hasty decision, give yourself some time to think it over before any change of direction. In truth, this card signals that it is time to strive to find harmony in some or every domain, looking for a complete balance of body, mind, and soul. Temperance is a deeply spiritual Arcanum in that it urges you to master your own drives and emotions if you want to escape their thrall. It means that you have to solve your own contradictions, so do not hesitate to undergo some deep introspection with that in mind. It is the key for a successful and happy life. Temperance tarot card indicates that you will know how to adapt to new situations? It will also allow you to improve the way you deal with your contacts and your loved ones. 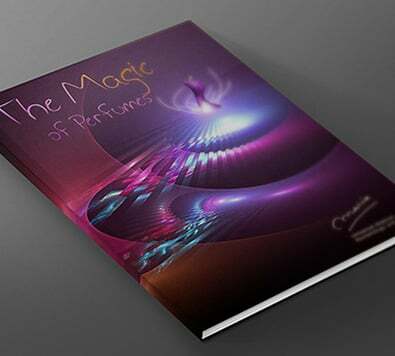 It will teach you how to exercise discretion, how to think more clearly, and will enhance your analyzing skills.